We hired Saroki Architecture to help us renovate and renew a classic home that was originally designed by a local noted architect in 1930. The home had undergone several unfortunate architectural changes in the 50s, 60s and 70s and was not in good shape by the time we bought it. The challenge was to create a 21st century home while maintaining its original architectural beauty. Over two plus years the house was entirely rebuilt; spaces that were cramped and dark were opened and carefully redesigned in a way that was sensitive to the original architect but reflected Saroki's equally brilliant style. 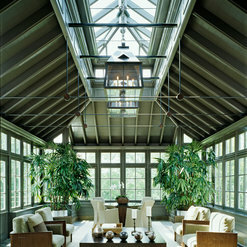 A large addition was added that made the house much more functional, yet was blended with the old in a seamless manner. Our experience with Victor Saroki, the founder of the firm, could not have been better. He met with us every week for two years, in his office and later at the site; every drawing and redrawing was done timely; he and his firm worked collaboratively and cooperatively with our builder, interior designer and landscape architect. Every architectural aspect of the project (which started in 2012) was done on time and as promised. We consider ourselves immensely fortunate to have selected his firm. If we were to assign a grade to Saroki Architecture, it would be an A+. Saroki Architecture is a family owned and operated architecture firm that provides personal and professional design services. We frequently build with Saroki Architecture and their designs are beautiful, comprehensive, and technically correct. It is a pleasure to work with their team as they have an extensive knowledge and great professional courtesy. There simply can not be a finer architectural firm in Michigan. 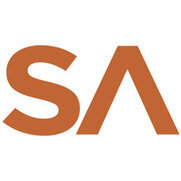 We have had the absolutely greatest experience working with Saroki Architecture. From incredible design and creativity to problem solving and professionalism, Saroki Architecture continues to exceed our expectations. It's rare in life when a person always has the right answer however Victor Saroki does. We will miss working with Victor when our project is completed and that says it all. I have worked with Saroki Architecture for over 35 years and every project we commissioned them to do has been extremely successful. Their innovative approach and professional work with implementing all the latest styles & trends have made all my endeavors in business easier to attain with the image they have helped us to accomplish. 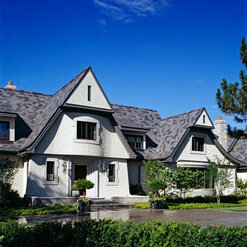 Commented: Beautiful HomeThis is one of our favorite residential projects. The builder is Thomas Sebold &amp; Associates, located in Bloomfield Hills, Michigan. Commented: PAINT COLORUnfortunately, we do not have the exact paint color specification on hand. Thank you for your interest! Commented: Love the tileThe tile used was Ann Sacks Antique and Antique Dark Terra Cotta Field Tile.